Contact me for more information on presenting a workshop to your group or organization. Self-care is a fundamental part of healing from the impacts of trauma. 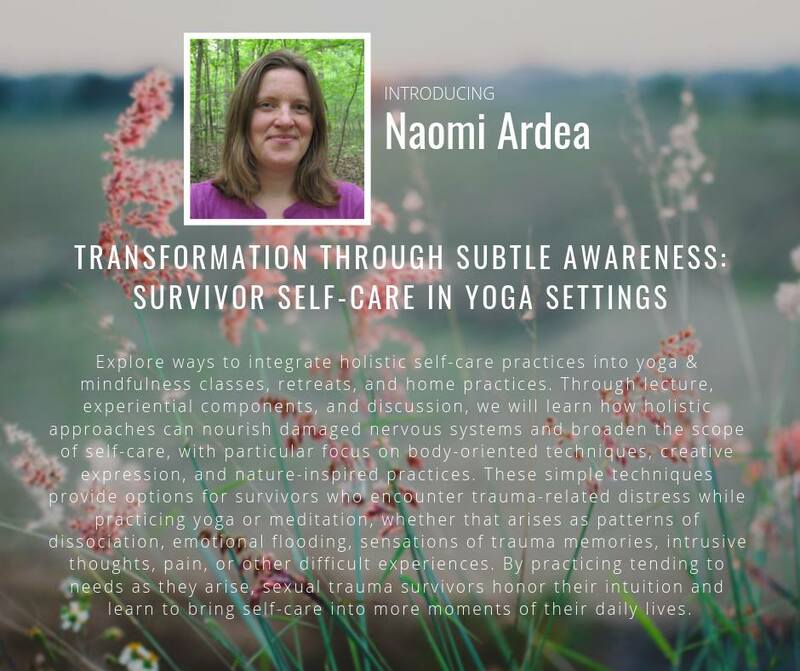 In this workshop, we explore ways to encourage trauma survivors as well as advocates to bring self-care into more moments of their daily lives. Through lecture, experiential components, and discussion, we learn how holistic approaches can broaden the scope of self-care, with particular focus on body-oriented techniques, creative expression, and nature-inspired practices. Attention will also be given to how certain practices may align with the needs of survivors and advocates to address specific trauma healing patterns and vicarious trauma. When presented to sexual violence survivors and advocates, participants can receive a copy of my book, The Art of Healing from Sexual Trauma: Tending Body and Soul through Creativity, Nature, and Intuition. Whether you are a massage therapist, bodyworker, energy healer, yoga teacher, or other healing arts practitioner, you have clients with trauma in their present or past experiences. In this workshop, we learn about the importance of clear communication, ongoing informed consent, and adhering to ethical guidelines in protecting our clients. We discuss methods for offering clients more choice and self-direction in our practices. We learn ways to bring grounded sensitivity and practical responses to the needs of trauma survivors as they relate to patterns of triggers and dissociation.